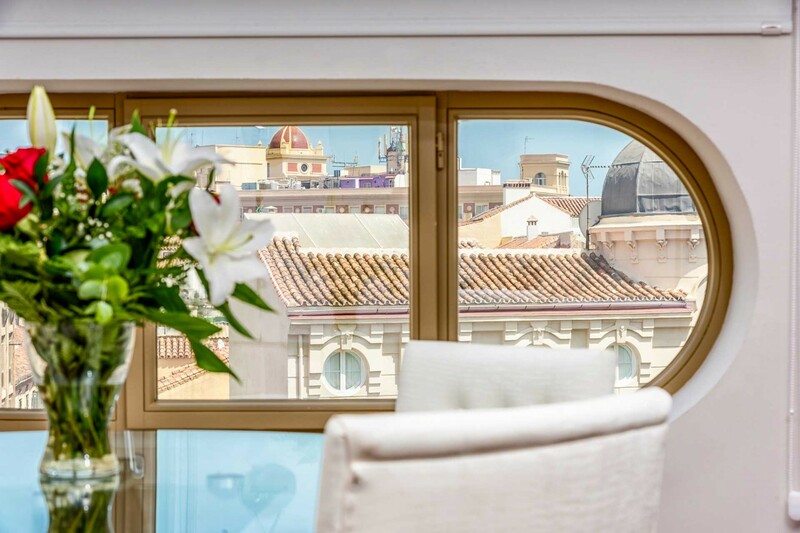 Luksus penthouse lejlighed beliggende i den berømte Felix Saenz bygning i hjertet af Malaga. Lejligheden er helt ny og tilbyder terrasse, high speed Internet, Internet TV og parkering. Denne helt nye luksus penthouse lejlighed er beliggende på 5. sal i Malagas mest berømte bygning Felix Saenz. Bygningen, som tilbyder elevator, var i starten af det 20. århundrede den vigtigste i byen og gennemgik i 2011 en komplet renovation. Ferieboligen er beliggende på øverste etage og tilbyder en stor stue med fladskærms-TV, sofa, spisebord og adgang til en smal balkon med udsigt over byens tage. Fra stuen er der adgang til køkkenet med alt tilbehør og videre ud på den charmerende terrasse med spisebord og en fantastisk udsigt over Malaga by. Soveværelset med king size seng og klædeskab har ligeledes adgang til balkonen og tilbyder eget badeværelse med bruser. 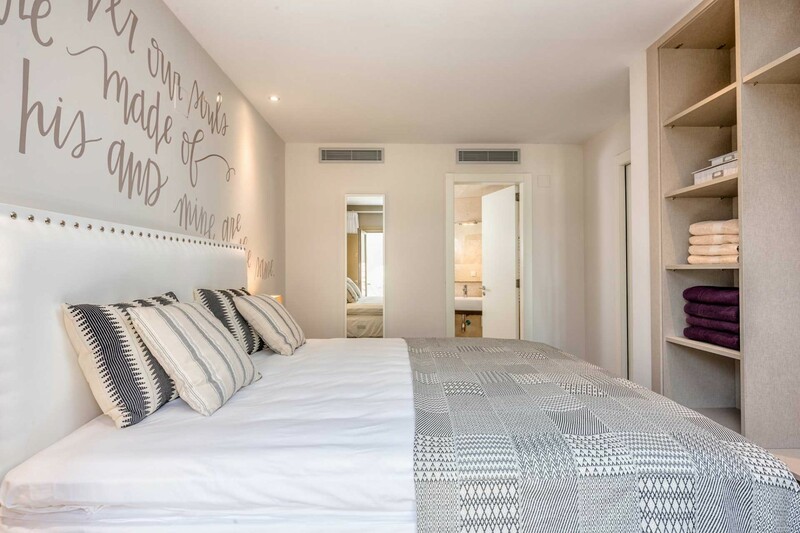 Ferielejligheden er af højeste kvalitet og er perfekt til en romantisk storbyferie i Malaga centrum for to personer. Vi tilbyder klimaanlæg, high speed Internet, Internet TV og mulighed for parkering kun 100 meter fra lejligheden. 1 TV, 5. etage, elevator, terrassemøbler, terrasse 10 m², strygejern, internet (wifi), hårtørrer, 62 m² boligareal, adgang without staircase, aircondition (varm/kold), aircondition i hele ferielejligheden, Garage til i bygning tæt på. Superb apartment for a couple. It is very well appointed. Enjoyed the wonderful Terrace. The location was excellent to discover Malaga. Coming from Canada, we are not familiar with the local rules for waste. It might be useful to have a reminder sheet that explains How and where to dispose of the garbage. Quality of furnishings, chairs, tables, light fixtures, and privacy of terrace. Also A/C was excellent (and needed). The apartment is ideal for two people. It is well situated and within walking distance of all the attractions of this lovely city. At the same time it is quiet. 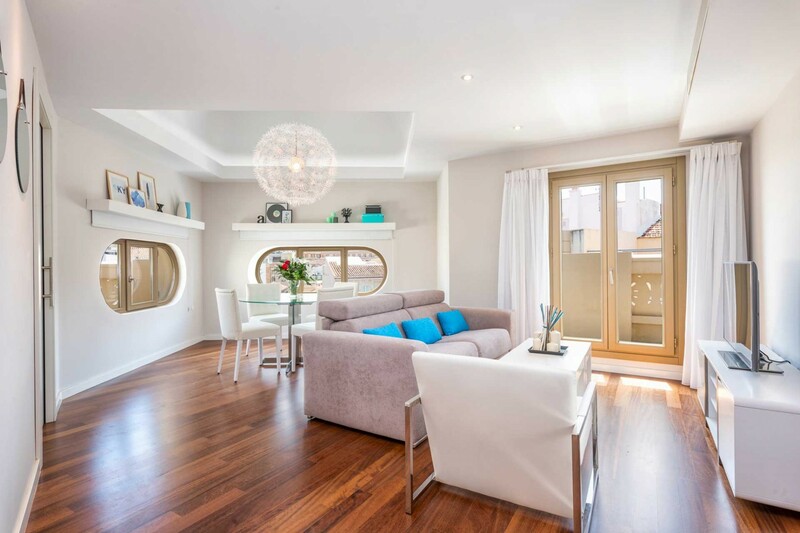 Although only one bedroom, the living area is very spacious. The outside terrace is a real bonus. Solaga has been our first choice for many years. 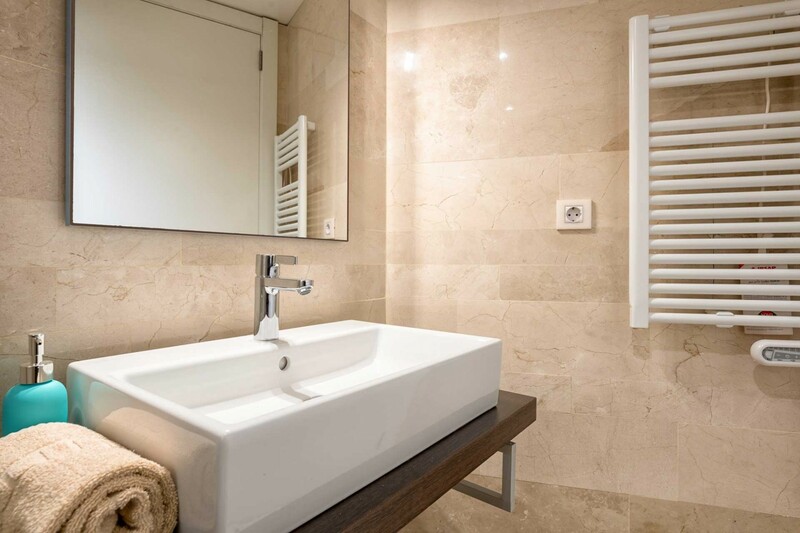 The quality of the properties is first class and the staff are professional yet helpful and friendly. Everything was as expected. Certainly coming back in the Future! We liked everything about the apartment. It was clean and comfortable. It is situated very centrally. We did not self cater as we were only staying for a few days but the kitchen is well equipped. The small terrace is ideal to catch the sun and the ability to eat outside a bonus. The doorman was charming and made the return to the apartment welcoming. We will definitely stay here again. it would be hard to find anything although a Nespresso coffee machine would be a real bonus to us. 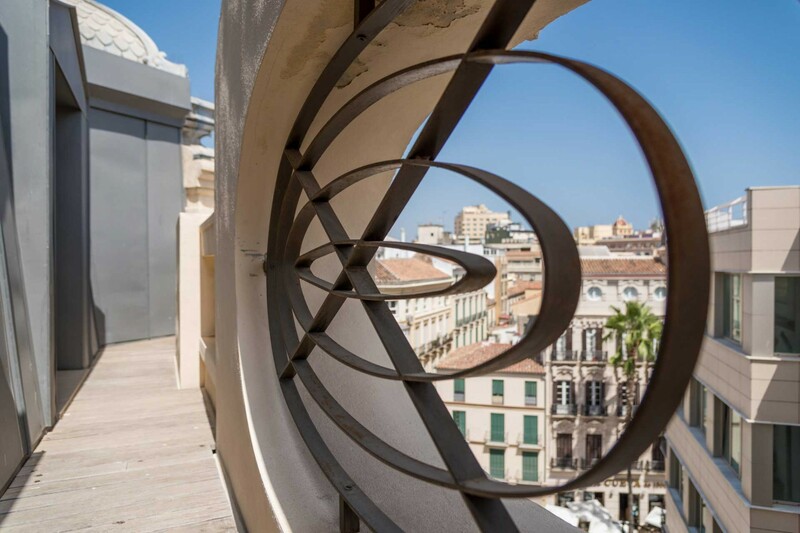 Nice flat, best location in nice part of Malaga. We loved everything: the accomodation itself, the equipment (we missed nothing), the cleanliness, the bed (we were on a longer trip in Andalusia and had nowhere such a comfortable bed - with one linen each!) 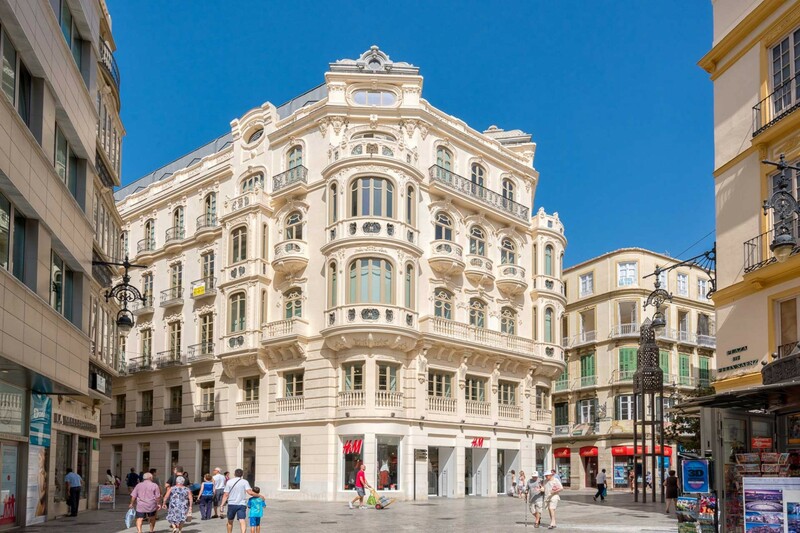 and of course the location right in the middle of the old town with the Atarazanas, Supermarkets, Restaurants, Bakerys and of course sights and beach nearby! 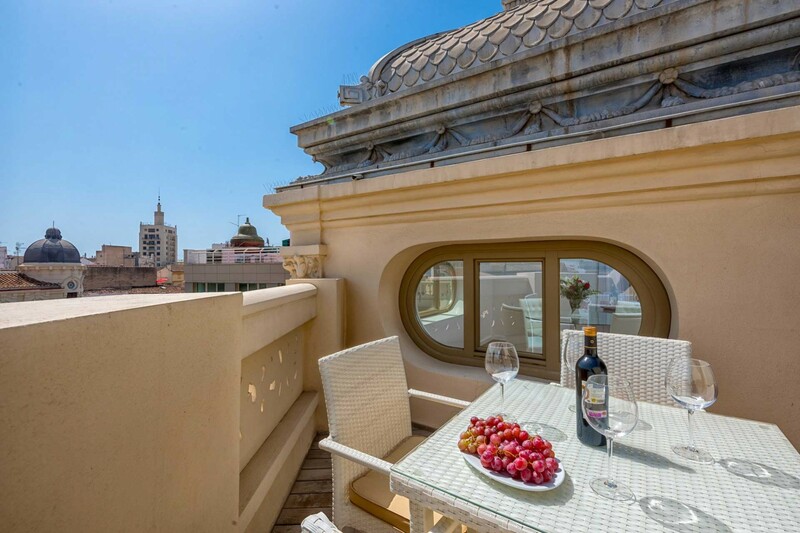 Fantastic apartment in a superb location with a great atmosphere in one of the most beautiful buildings in Malaga. The building itself is so beautiful and being able to ´live´ there for a week is just excellent. 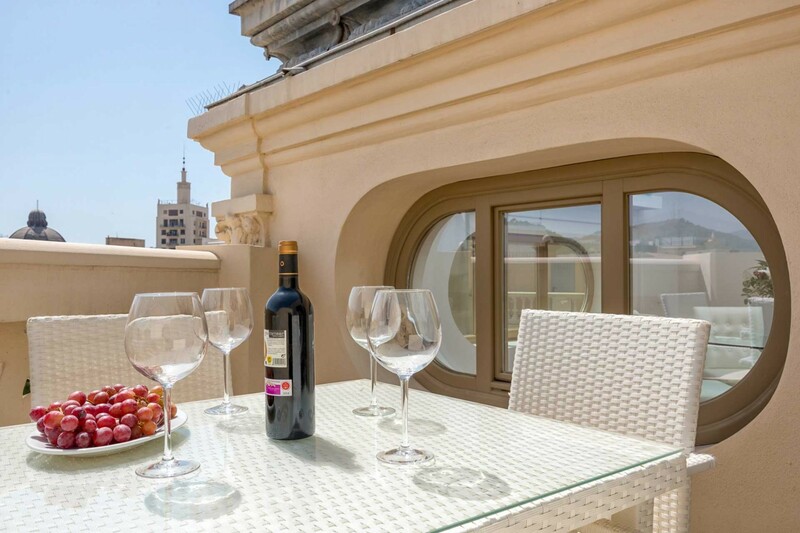 The apartment is lovely decorated and has everything you need, including a nice terrace with great views. The location couldn´t be better. Just in the centre of everything: the Atarazanas nearby, restaurants and bars just around the corner, splendid. The kitchen is nicely equipped, although we missed some good quality cooking pans (sartens). The ones that were there were ´cooked-in´ and not really useful. A clotheshorse, there is one hanging on the wall, but it´s just a small one. We used the one of the neighbors for some extra space. 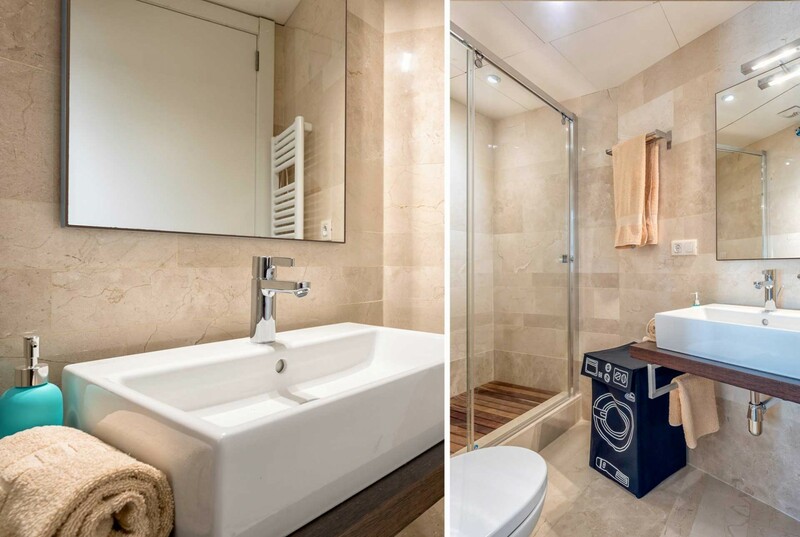 Location, balcony, cleanliness,. The accommodation is excellent. 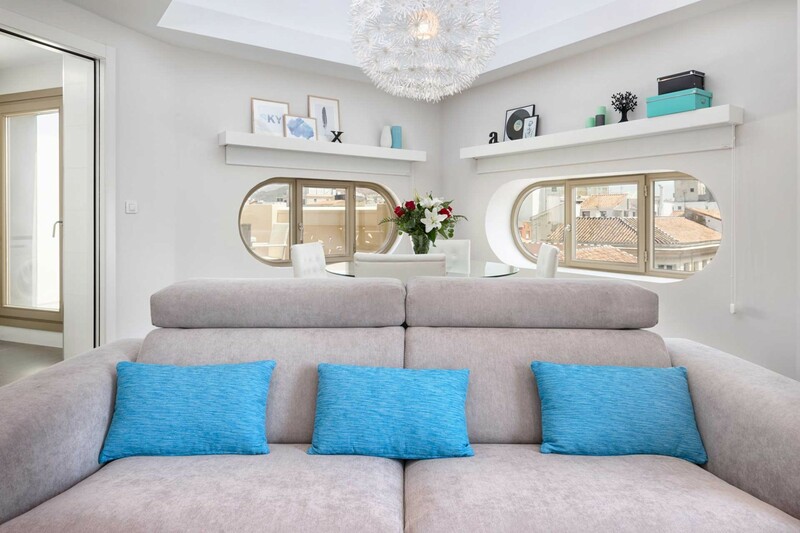 The location was axcellent and the Apartment was just as described and as the Pictures. 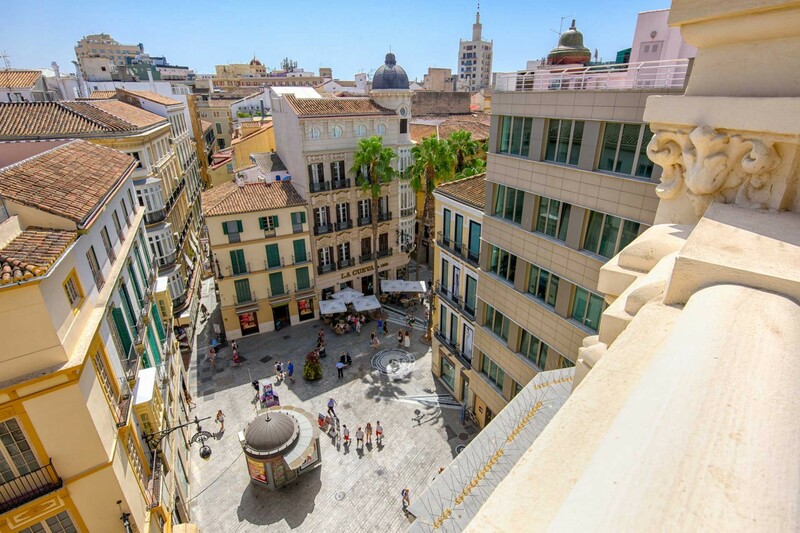 We can highly recomend this Apartment as an excellent choise in Malaga. I enjoyed staying at this apartment. It was centrally located and everything worked in the flat. It was clean and neat. Location was both good and bad - good as in the middle of town ...slightly bad as it was quite noisy during the night if you wanted to leave the windows open. It was nice meeting Alex (the Sologa rep) at the apartment as he was able to tell us about the flat and useful tips for the local area. A few more utensils in kitchen..eg, smaller sharp knives (only had several enormous ones! ), an additional chopping board, a much better corkscrew is needed! The apartment is excellent and the location perfect. Service from Solaga was excellent. WOuld stay here again and definitely use Solaga again. The apartment is amazing. The balcony is incredible. Bed is comfy! But no coffeetea. 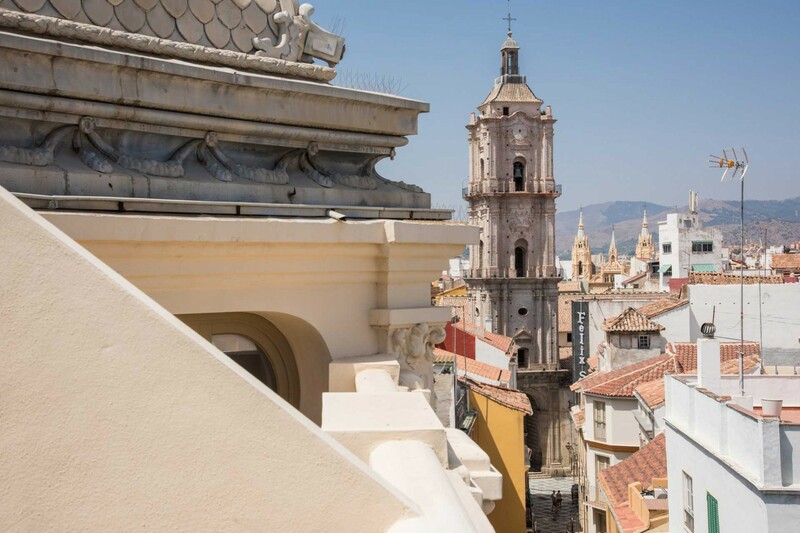 Malaga is a great place to spend 4 days. We stayed in a stunning apartment in Malaya old town, so handy for all that Malaya offers. All very satisfactory and will stay again. Very good, comfortable apartment with good equipment for food preparation. Check in and out was very efficient and information available was excellent. Be aware, though, that none of the basics are supplied unless other guests have left them behind so you may want to bring some things with you. There is a nearby supermarket if you don't. 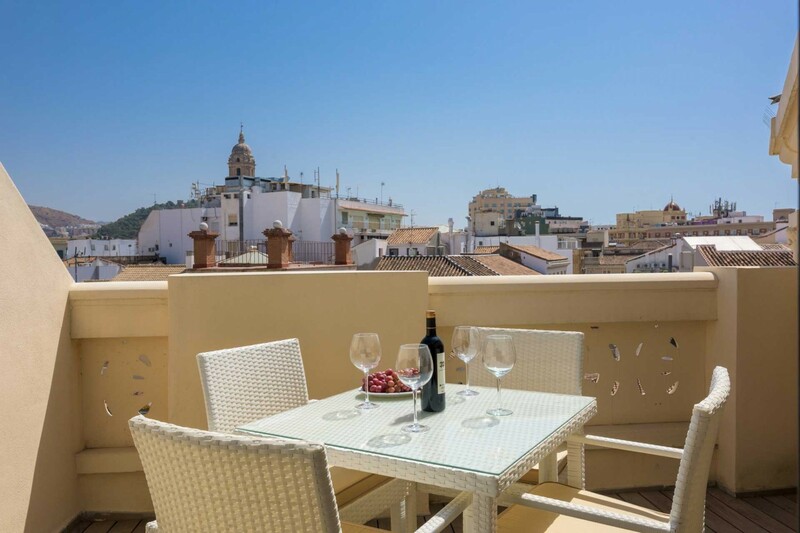 Lovely flat in central Malaga within easy reach of all attractions. 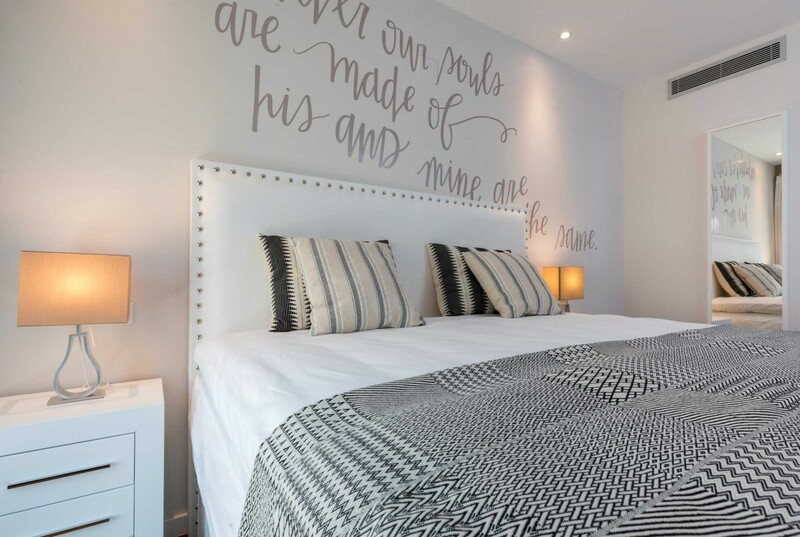 Very clean,well furnished,comfortable base for exploring Malaga. Check in well organised, efficient and pleasant would return to this apartment. 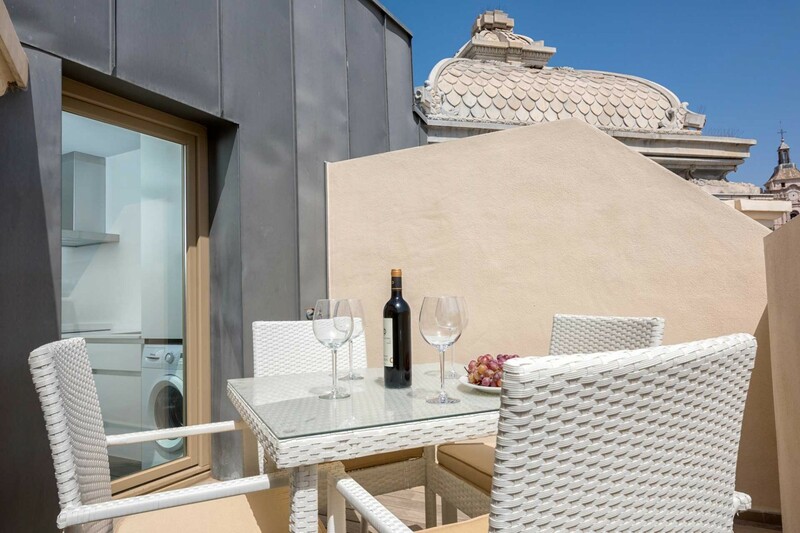 The apartment is in the pedestrian zone, in the center of the the old town. The view from this beautiful and emblematic building is amazing. The apartment is well equiped and confortable. Service from Solaga was perfect. À wonderful stay! Stayed in Felix Saens for one week. First night the kitchen floor was flooded due to heavy rain. Agent from Solaga arrived in 20 minutes and handled everything in the middle of the night so we could stay in the appartment. Very professional handling and follow up. We will definitely return to Malaga and Solaga. The appartment Felix Saenz was nice and located in the middle of everything. It would although have been nice with at Reading lamp beside the sofa. In the kitchen we were missing a pair of scissors and a potato peeler to open the packet with Belloto ham from the market and peel the potatoes to prepare 'patatas brava'. By the Way: The rest of the week we had beautiful weather with a few clouds and lots of sun. A great apartment and a great location! 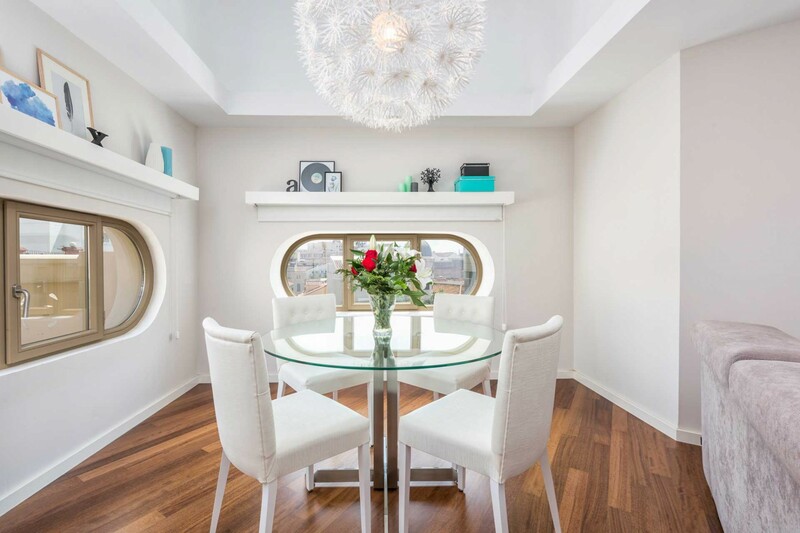 A great apartment and a great location! We enjoyed our holiday in Malaga a lot, in great part due to this wonderful apartment with ist nice balcony and great view. The hosts are very nice and helpful. 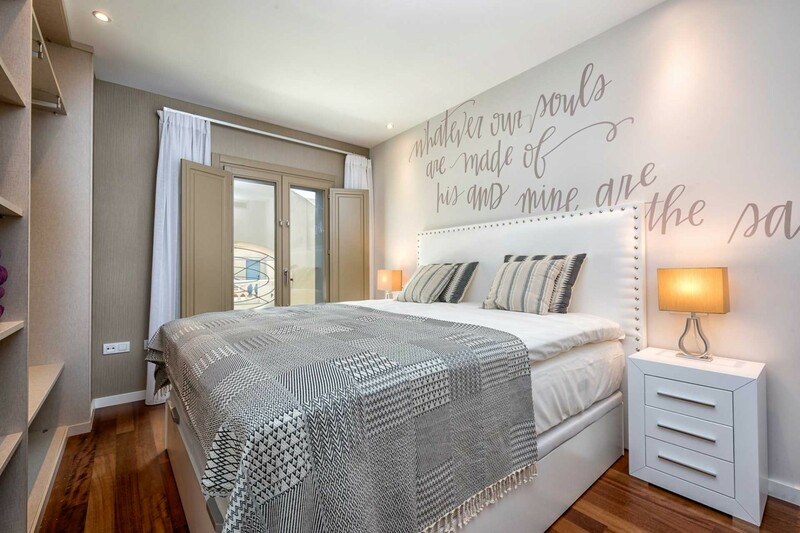 We would not hesitate to book this apartment again! We loved the apartment! It was well equipped and very comfortable. The location was absolutely amazing - couldn't be better. We can't wait to return. Hope to stay there again! 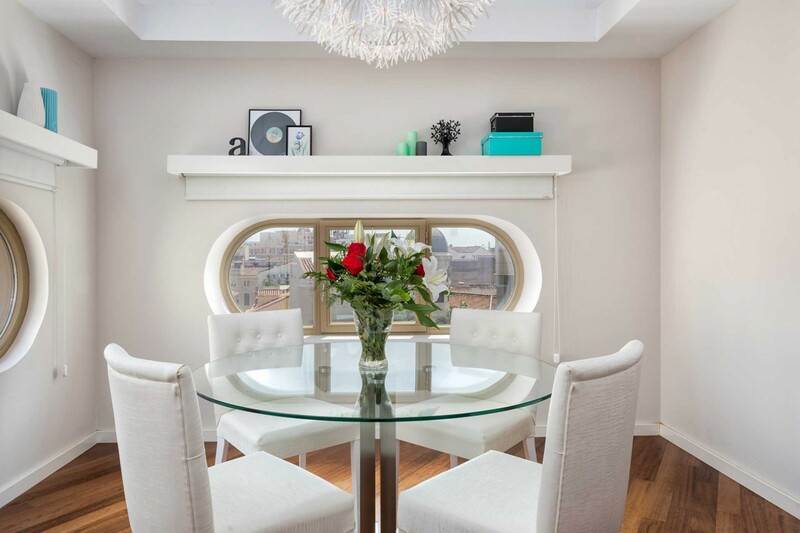 A very attractive apartment, completely quiet in spite of being so central. Very clean and contained everything required, iron, hairdryer, etc. The solaga staff were very efficient and helpful. No complaints and hope to stay there again. The people at Solaga were wonderful to deal with, responding very quickly to emails and being very helpful while we were actually at our vacation rental. 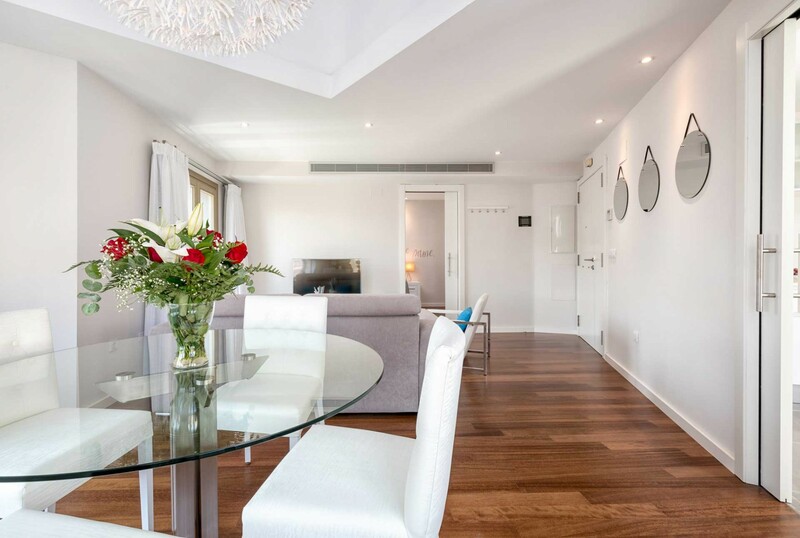 The apartment was absolutely beautiful, exactly as shown in photos, spotlessly clean and the very best location in Malaga for our one-month visit. I would most definitely avail of the services of Solaga should we decide to visit this area again.